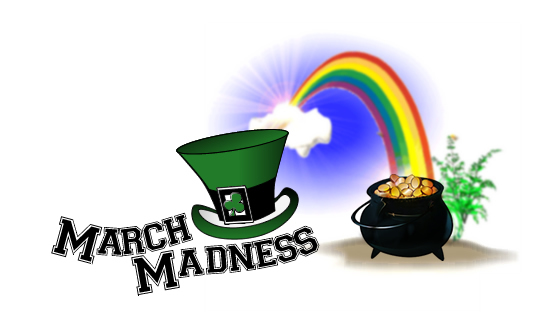 Celebrate March: Shamrocks & Basketball Madness! On Harvey St just 1/2 mile North of Pontaluna Rd. All Vendors Gladly Accept the Bridge Card! Cookies – Double Chocolate Cookies (Vegan, NOT G.F.), Sunflower Butter Cookies (Vegan AND G.F., available in Cinnamon or with GF & Vegan Chocolate Chips), HUGE! Dark Chocolate Chip, Sweet & Salty Cashew Cookies (all oats, no wheat), Oatmeal Raisin (all oats, no wheat), Lemon Fig Oatmeal (all oats, no wheat), and more! Also – We will also have our usual assortment of Naturally Nutty Nut Butters and Food for Thought Preserves, Hot Sauces, and Salsa. 1/4 pound packages. – $5/package. Returning this week! Creswick’s Snack Sticks! 4 generous sticks $4.00/pkg. Pork Tenderloin. Pork Chops. Apple Smoked or Hickory Smoked Bacon. Nitrite-Free. Soup Seasoning Bacon Ends. Pork Sausages: Garlic Kielbasa. Chorizo. Breakfast sausage in links or 1# bulk pkg. Italian Sausage in 1# bulk pkg. Ground Beef Patties (3 1/3# patties). Pepperoni slices. Thin-sliced & spiced perfectly for pizzas, pasta salads & snacking. Please note: We will be out of fresh frozen chicken until May. Chicken Sausages: Chicken Spinach Feta links. Lamb Sausages: Moroccan Lamb link sausage. Soy Free Eggs: Available by pre-order only (see below). BEEF ~ We have some quarters of beef for sale. Email pbobier@voyager.net for details. We will have beef by the pound and package on Saturday! Steaks , roasts, ground beef, tongue, soup bones, Liver, heart. I’ll also have ground beef in 10 + # quantities (1-2# packages) for $3.50 per lb. Veggies this week ~ Potatoes – Russet, Red La Soda; yellow and red onions; carrots, celeriac, parsnips. Dried herbs. Maybe some spinach ? Organic Olive Oil ~ Choose your favorite bottle or try a bulk blended organic oil for sale for $30 in your quart jar. HIGHER GROUNDS COFFEE ~ I’ll be bringing an assortment of 1# bags. A new shipment arrived this week. CHECK OUT OUR BLOG ~ http://www.earthscapefarm.blogspot.com New photos are up! We are signing up this year’s CSA members. Let us know if you are interested. Goose! These freshly processed and frozen geese run between 6 to 9 lbs, and were pastured on grass and supplemented with oats grown on the nearby Earthscape Farm. Duck! Stewing ducks, whole ducks, & boneless skinless duck breast. Frozen. Turkey Sausage. Breakfast, Italian, Brat & Chorizo. Breakfast & Italian in links or bulk. Turkeys were fed certified organic feed. Pastured turkey: Fed certified organic grain. Whole turkeys processed the week before Thanksgiving, also: frozen packaged thighs, drumsticks, breast roast, sliced breast, and tenderloin. Pastured chicken: Frozen chicken fed certified organic grains. All cuts—whole, cut up, bone-in and boneless skinless breast, drumsticks, thighs, leg quarters and wings, soup stock, feet, liver, hearts and gizzards. All meats raised on pasture with daily moves. New from Hickory Ridge! Besides raising pastured poultry, Will raises Shetland sheep and now has beautiful wool in various natural colors for sale by skein. Also his sister Rebecca will bring her hand-knit gloves, mittens & socks. She will also do custom orders. Spring is around the corner! Start preparing now for your garden! We will have 10 oz to 10# sizes of various garden supplements, like Berry Mix, Liquid Fish & Kelp concentrates, Maxicrop, Dry Kelp Meal, Milky spore & Diamatacious Earth. From the bookshelf: Ask Mother Nature: A Conscious Gardeners Guide, by Ellen Vandevisse. Or How to Grow More Vegetables, by John Jeavons. Also: Nantucket Bakery Cinnamon Raisin Bread and other baked goods. Northern Naturals Cherry Concentrate. Blackstrap molasses, honey & maple syrup. Certified Organic raw milk cheeses in the Dutch process tradition. This Week! Gouda, Leyden, Gouda with Dill, Edam (low-fat Gouda), Gouda Spice (garlic & onion), & Lamont Cheddar. Good for the body & soul! New! I am introducing a new soap to our certified organic soaps just in time for your Spring plantings, called Rows and Furrows Gardener’s Soap. It’s a clean scented soap with that extra grit from ground apricots and coffee with light sweet orange essential oil for added grease cutting ability. All of our soaps are made with only essential oils, the colors in the soap are from the botanicals used in each recipe, no artificial preservatives and are not animal tested! Herbal bath tea blend of yummy organic botanicals now comes in two sizes; the jar with refillable muslin bags and now also a set of 2 single use bags. Sweet hand made rose bud mini heart share wreaths, pretty to hang on a little girls or baby’s room wall or unique wedding shower gift. Along with our single hand made cards I now also have package sets of 4 hand made cards which are nice to use yourself or also for a hostess gift. Look forward to seeing you at the market! NEW PRODUCTS are here! Sweetwater is the first to offer the new 4oz Balancing Facial Toner $7.00, 2oz EveryDay Moisturizer $16.00, 2oz Night Time Facial Restorative Serum $24.00. Our feature product this week is Sweet Almond Oil with Vitamin E. This product is meant to be used as a deep, protective moisturizer focusing on very dry skin types as well as mature skin. It offers protection in cold, wind, and sun exposures; deep skin moisturizing with no greasy feeling and the antioxidant properties of Vit E offers additional healing effects. Great for both day and night moisturizing! NEW!!! “Strands”…possibly the most versatile jewelry in the world! “Strands” can be worn several different ways in the front of your body OR down your back to dress up a sundress or plain outfit. They can also be worn partially in the front and partially in the back. “Strands” can also be worn as a belt or in an updo. What a fun and practical piece of jewelry! Also new this Saturday will be “BeadforLife” necklace sets. BeadforLife is a non-profit organization providing impoverished Ugandan women and their children the opportunity to rise above poverty by making beads from recycled paper. I have purchased some of these beads and have mixed them with Gemstones and the like to make pretty spring and summer sets. Stock up on spring cleansing herbs like dandelion and red clover. we will have “Irish Breakfast Tea” to sample,and many favorites to purchase.Honey and whole food lotions available as well as selected essential oils. Last but not least If you would like to become a Friend of the Market for a suggested donation of $10.00, which entitles you to a free cup of coffee at every market you attend for a full year, please see me at the market this Saturday! We will also have Higher Grounds Coffee by the Cup for a suggested donation of $1.00. This Week: Holiday Green Market #1! “Green” Saturday at the Market! Our Holiday Season starts this Saturday – Locally grown & made right here in the Muskegon area, we’re proud to show off our “green-ness”! Organically Grown Christmas Trees! Lisa will be bringing a great selection of the wonderful apples grown up at Fruitful Acres, along with more of Hugh’s fresh-pressed apple cider! 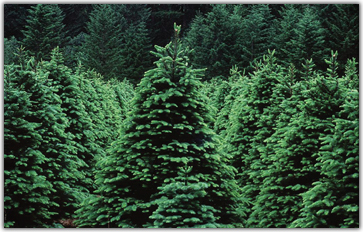 Also new this week: Lisa will be taking orders for organically grown Christmas trees! Stop by and find out why trees grown without chemical sprays are the safest choice for your family! Shetland Wool Skeins & Hand-knit mittens & gloves! Order your Christmas Goose Now! These freshly processed and frozen geese run between 6 to 9 lbs, and were pastured on grass and supplemented with oats grown on the nearby Earthscape Farm. Freshly frozen Duck! Stewing ducks, whole ducks, & boneless skinless duck breast. Whew! This Thanksgiving week has been a real whirl-wind for our bakery! But now that the flour dust has settled, we’ll be at the market with a great selection of our wonderful breads, rolls, cookies and other fabulous sweet stuff. Hoophouse: parsley, radish & pac choi. Greenhouse: Micro-Greens: nice mix of kales, chois, arugula, curly cress, Osaka purple mustard, broccoli, spinach & sunnies. Excellent salad & sandwich topper. Please note: We still have holiday hams (5-18 lbs) available on special order. Back again! We’ve made a fresh batch of Creswick’s Old-fashioned Ring Bologna, try some this week! Creswick “Healthy” Meat Snack Sticks (perfect for school). 4 generous meat sticks to a pack. Buy 4 for $4.00 each, get 1 pack free! Thin-sliced Deli Style Ham. Sandwich size in 1# pkgs. Pork Sausages: German Thuringer. Garlic Kielbasa. Chorizo. Breakfast sausage, links and 1# bulk pkg. Italian Sausage in 1# bulk pkg. Chicken Sausages: Apple Chicken links, Chicken with Spinach & Feta Cheese links. Pork Tenderloin, Pork Chops, Boneless. Apple Smoked Bacon, Nitrite-Free. Soup Seasoning Bacon Ends. Flank Steak. Filet Mignon. Gourmet Burgers: grass-fed beef & hickory smoked bacon 3-1/3lb patties per pkg. Ground Beef Patties 3-1/3lb patties per pkg. Chicken Breast. Whole Chicken. Ground chicken in 1# bulk pkg. Pre-Orders: Email Chris Bedford at chrisbedford@charter.net by no later than Monday morning before the next market and he will have it ready for you to pick up on Saturday. For a complete list of products, please see the website: www.CreswickFarms.com . SALE! Last week! The best $5.00 Christmas gift you can give! Special 12oz hooked rim gift bottle of made on my farm Taste of Spring Maple Syrup. Veggies this week include red & white potatoes, red & white onions, carrots. Winter squash. Five kinds of pumpkins. Back again – Lamb! All cuts available. Chops, leg of lamb, ground, etc. With this nice November weather there is still time to get your fall lawn & garden taken care of. We have a wide variety of Fertrell fall garden supplies. Please call 616-677-6178 and Paul will bring it to market. New! We have a new product, Certified Organic Blackstrap Molasses. Also, Honey, maple syrup, garden books, processed & bagged wool. Nantucket Bread Co. Freshly baked loaves of Whole Wheat Raisin Bread as well as regular Whole Wheat, baked with organic flour. Please note: We will not be at the Market this Saturday November 28. See you next Saturday! HandCrafteds Good for the body & soul! Sweetwater welcomes Laura Bonarski, owner of Soul Infusions. Laura describes her shop as a unique tea house that carries a wide variety of organic and free trade bulk teas, herbs, spices, and natural health products. Laura is a graduate of Blue Heron Academy in Holistic Health care and works for Spectrum-Health. “Having seen the benefits of healing with whole foods, the use of teas and herbs became a passion,” says Laura. “I also specialize in custom beauty products such as lotions, lip balms, salves, sprays, and spritzers.” Her community-based shop offers classes and rental for small events. A great place to meet friends, sit and sample one of the 52 plus varieties of tea in a peaceful setting. This week Laura will have an assortment of herbal organic teas and different herbs. She will feature an “herb of the month” and for December that will be peppermint. Peppermint has antispasmodic & antiseptic properties. Laura will demonstrate how to use peppermint in make-your-own mouthwash! Soul Infusions is located at 90 N. Main St, Cedar Springs, MI 49319. Laura can be reached at 616-696-1808. Need a hostess gift for the holidays or ready to start your holiday shopping? We are happy to announce that we are now selling certified organic soap! Our soaps use only essential oils, natural colors from botanical ingredients and no para ban preservative. The soaps offer a nice lather and have retained glycerin to offer more moisturizers than most commercial soaps that cook the glycerin out for resale and to use in other products. Many different scents to choice from and gift boxes are available. Also introducing our Quietude Herbal Bath Blend. A wonderful herbal blend of botanicals along with sea salt and Epson salt to relax after a long stressful day. This is made with all certified organic botanicals and comes in a refillable jar. Lavender Dryer bags are also available again, now in 2 sizes. Lois Jancek returns to the market with a selection of her beautiful hand made Christmas wreaths! Great gift ideas! My newest addition to the fiber lineup: Cowls, this seasons new scarf! Easy to wear around your neck to keep you warm or add style to your ensemble. Many different styles and fibers. Also new this week are my felted mittens, as well as Purses, Scarves, Coasters, Necklaces, Hats. Hand-made Pottery Cups and Brooches. Start your Holiday shopping now! Gift idea! Stop by and check out my newest Christmas creations plus my latest wool handbags and new quilt-material totes. I also have the “Bella” bracelet (from the “Twilight” series) in Amethyst gemstone and sterling. Certified organic beauty & health products. Best Pasture Raised Meats in West MI! Great Pasture Raised Meat Sale Continues! We are a Bridge Card Market – all food vendors gladly accept Bridge Cards! Hugh will return with more fresh-pressed organic cider in half gallons! Also: Certified organic apples: Ginger Gold, Graham Spies, Honey Crisp, McIntosh & Gala. BEEF: These steers were fed some homegrown grain with their hay last winter, but were on pastures all summer. Sale! Rib steaks, $1.00 off per pound. Veggies this week: Parsnips, Carrots, Lettuce; Potato Sale continues! Red Norlands and Russets. We also have fingerlings ~ French Fingerlings are redskinned with yellow flesh, and Russian Fingerlings are buff brown skin / white flesh. Cabbages, Winter squash. Cilantro. Parsley. Beets, Celery, Red & Yellow onions, maybe some kale and chard but the deer have been bad this Fall, kohlrabis. Maybe some pak choi and chinese cabbages. Organic Olive Oil! SALE! I will have a new blended organic oil for sale for $30 in your quart jar. Also Moutere Grove from New Zealand ~ 250 ml $20; 500 ml $30 and bottled Catalan 250 ml $16; 500 ml $24, a new Greek oil and Mansur from Argentina. HIGHER GROUNDS COFFEE ~ I’ll be bringing an assortment of 1# bags. Please note: We still have a few pasture-raised Turkeys available for Thanksgiving. New! Creswick Old Fashioned Ring Bologna! Blend of beef & pork seasoned with coriander, garlic, onion, & celery powder, sea salt, and a touch of turbinado sugar. Yum! Try a sample this week and you’ll be hooked! Pork Sausages: Red Hot Brats. Jalapeno Brats. Garlic Kielbasa. Chorizo. Breakfast Link sausage. Breakfast sausage in 1# bulk pkg. Italian Sausage in 1# bulk. Pork shoulder roasts, Pork Tenderloin, Pork Chops. Pork Steak, Ham steaks. Two choices of bacon this week: Apple Smoked and Hickory Smoked. Nitrite-Free. Soup Seasoning Bacon Ends. Chicken Breast. Leg qtrs. Whole Chicken. Ground chicken in 1# bulk pkg. Certfied Organic raw milk cheeses in the Dutch process tradition. If you haven’t already heard the news, we are preparing for a huge change in our family: we’re moving to New Zealand at the end of November! The farm has been sold, to a couple from Detroit who are interested in growing food, and we are now getting ready to dispose of some of our equipment & personal belongings in a sale to be held on November 14th. In the meantime we will be attending the market until November 21st. We have the following large items for sale right now, let us know if you are interested. For sale: 12×24 ft minibarn. Lined & wired. Metal inside & out. Needs to be moved onto a slab. $2000 obo. 1987 Ford Box truck. Call 231 873-8972 for more info. Great meat sale will continue! We didn’t bring enough with us last week, so we will be totally retocked and ready to sell this Saturday! Remaining stocks of 2008 whole frozen chicken drums, wings & breasts are 75% off while they last! For example, you can get a whole frozen chicken for only $5 or $6 dollars! Also includes turkey breast. Also, 2008 Turkey Sausage Brat Style 50% off a pound! For large orders please give us a call and we’ll reserve it for you. New! We still have a few Thanksgiving Turkeys not spoken for. See us at the market on Saturday, or call us at 231 873-8972 to reserve yours. Hoophouse & Veggie Garden. Mixed greens & arugula! Acorn & Buttercup squash. Beets, big onions. Kennebec & Red Lasota potatoes. Herbs: Fresh & dried parsley, cilantro, rosemary & sorrel. Ducks. Young and tender. The drakes weigh about 6 lbs. ; the hens are just over 3 lbs. Pastured turkey: Fed certified organic grain. We will have frozen packaged thighs, drumsticks, breast roast, sliced breast, and tenderloin. Pastured chicken: Two options: Frozen chicken fed certified organic grains or chicken fed our own 2nd year transition corn. We have all cuts—whole, cut up, bone-in and boneless skinless breast, drumsticks, thighs, leg quarters and wings, soup stock, feet, liver, hearts and gizzards. All of our meats are raised on pasture with daily moves, and are processed on farm: no stressful transporting. Breakfast Cookies from Abundant Harvest Bakery. Grassfed Beef. We are selling remaining stocks of beef for our nephew John Filbrun, who raised the steer on our farm. Wendell, Rebecca & the kids have moved back to Ohio. New! Jim will be bringing a tasty batch of collard greens as well as red & white potatoes, red & white onions and his great made on the farm “Taste of Spring” maple syrup. Now is a good time to get your fall lawn & garden taken care of. We have a wide variety of Fertrell fall garden supplies. Please call 616-677-6178 and Paul will bring it to market. Also: Honey, maple syrup, garden books, processed & bagged wool. With illness being our number #1 concern of late, our sale items this week will be our Cold Comfort Crystals reg $10.00/ now $7.00 (Dead sea salts, with a blend of essential oils to give the old fashioned menthol aroma we so quickly remember). These crystals create aroma-therapy for relief of symptoms of the common chest colds. We also are offering our Sinus Relief and Sweet Dream Pillow reg $7.00/ now $5.50. These two pillows offer aromatherapy to help you sleep better, and offer relief of head congestion or of sinus issues. These products are all reusable, lasting 6 weeks or more. If you have any questions please contact us at www.info@brittaniesthyme.com or call us at 616-788-8224. New! Just in time for cool weather – my new wool handbags and new quilt-material totes along with jewelry & gifts for the holidays. I also have some new treasures for the young and the young-at-heart. I have dainty little dragonfly earrings and necklace, dainty fairy earrings and necklace and the “Bella” bracelet (from the “Twilight” series) in Amethyst gemstone and sterling. Come Join Us Inside! The weather forecast for Saturday is rainy & cold, but we’ll be inside the lobby, so come on down! Fruitful Acres of Manistee New! Fresh-pressed organic apple cider! Half -gallons. Also: certified organic apples; Ginger Gold, Graham Spies, Honey Crisp, McIntosh & Gala. Earthscape/Full Circle Farm of Hesperia – BEEF SALE! Soup Bones $1 per lb. Make stock! Make soup! Other cuts available: T-Bones, Porterhouse, Tenderloin, Sirloin Steak, Rib Eye Steak, New York Strip, Chuck and Arm Roasts, Rolled Rump Roast, Swiss Steak, Short Ribs, Ground Beef, Stew meat, oxtail, organ meats including liver, heart, tongue. These steers were fed some homegrown grain last winter, but have been on pastures all summer. Please send me your advance orders and I’ll be sure to save beef for you. Sweet Pepper Sale at Earthscape! Creswick Farms of Ravenna Handcrafted Sausages and Specialty Meats Lunchmeats & snacks. Creswick Meat Snack Sticks. Buy 4 for $4.00 each, get 1 pack free! Pepperoni slices. Thin-sliced & spiced perfectly for pizzas, pasta salads & snacking. Thin-sliced Deli Style Ham. Sandwich size in 1# pkgs. Pork Sausages: Red Hot Brats. Jalapeno Brats. Garlic Kielbasa. Chorizo. Italian Sausage in 1# bulk pkg. Breakfast Sausage Links & Bulk. Chicken Sausages: Chicken with Spinach & Feta Cheese links. Lamb Sausages: Moroccan Lamb link sausage! Fresh-Aire Pastured Pork. New item! Pork roasts. Also: Pork Tenderloin, Pork Chops. Country Style Ribs. Ham steaks. Two choices of bacon this week: Apple Smoked and Hickory Smoked. Nitrite-Free. Soup Seasoning Bacon Ends. Grass-fed Beef Flank Steak. Filet Mignon. Gourmet Burgers: grass-fed beef & hickory smoked bacon 3-1/3lb patties per pkg. Ground Beef Patties 3-1/3lb patties per pkg. Pastured Poultry We have plenty of freshly processed chicken again this week. Chicken Breast. Leg qtrs. Whole Chicken. Ground chicken will be available again next week. Soy Free Eggs: Available by pre-order only (see below). Pre-Orders: Email Chris Bedford at chrisbedford@charter.net by no later than Monday morning before the next market and he will have it ready for you to pick up on Saturday. For a complete list of products, please see the website: www.CreswickFarms.com . Grassfields Farm of Coopersville Certfied Organic raw milk cheeses in the Dutch process tradition. New! We’re proud to announce an addition to our cheese line-up. It’s called Polkton Corners, and is a delicious, soft-style unpressed Gouda. Also: Gouda, Leyden, Gouda with Dill, Gouda Spice (garlic & onion), Edam, Lamont Cheddar and Gouda Chili Spice. Earthly Kneads of Muskegon Special Note – New Bread Schedule Starting October 6th! Please check our website starting the 6th to see what’s new. Closing Dates – October 15, 16, and 17th (we will NOT be at market this day). The Cheese Lady shop will also be closed on these days. Stock up now! Bread –Specials this week: Tomato Basil Bread; Cheesy Hot Pepper Bread; and Cheesy Shiitake Pockets. We will also have our regular Saturday schedule of bread (visit www.earthlykneads.com for details) minus the beer and cheesy breads (had to make room for the specials!). Special Sweets –Pumpkin Spice Mini Loaves; Cinnamon Rolls (individual or by the pan) with Cream Cheese Frosting Scones – Cherry Poppyseed; Wild Blueberry; Dark Chocolate Chip Muffins – Michigan Blueberry; Strawberry Streusel Cookies – Sugar; Peanut Butter (GF & Vegan); Toasted Coconut & Pecan Macaroons (GF); Chocolate Hazelnut (Vegan); Mango Ginger Oatmeal (all oats, no wheat); and more! Granola – Several varieties this week, plus Gorp and Muesli Extras – Fresh Shiitake Mushrooms (This is probably the LAST WEEK! ), Dried Shiitake Mushrooms, and Organically-Grown Heirloom Garlic (these bulbs are HUGE!) from Frasure Farms. We’ll also have an assortment of Food for Thought (we just stocked up!) and Naturally Nutty with us. Olson Farm of Shelby Jim returns with string beans, potatoes, onions and his great Taste of Spring maple syrup. Happy Hill Farm of Hart Congratulations to the Filbruns on the birth of baby Joseph Marvin, 7lb 15oz! Hoophouse & Veggie Garden. Sweet potatoes. Multi-colored carrots. Beets, big onions, mixed greens. Broccoli. Kennebec & Red Lasota potatoes. Herbs: Fresh & dried parsley, cilantro, rosemary & sorrel. New! Fresh ducks and fresh turkey pieces. Turkey Sausage. Breakfast, Italian, Brat & Chorizo. Breakfast & Italian in links/andor bulk. Turkeys were fed certified organic feed. Ducks. Young and tender. The drakes weigh about 6 lbs. ; the hens are just over 3 lbs. Pastured turkey: Fed certified organic grain. We will have frozen packaged thighs, drumsticks, breast roast, sliced breast, and tenderloin. Pastured chicken: Two options: Frozen chicken fed certified organic grains or chicken fed our own 2nd year transition corn. We have all cuts—whole, cut up, bone-in and boneless skinless breast, drumsticks, thighs, leg quarters and wings, soup stock, feet, liver, hearts and gizzards. All of our meats are raised on pasture with daily moves, and are processed on farm: no stressful transporting. Stewing Hens. Hens retired from laying eggs make the best chicken soup in the world! Simmer these gals for several hours and you have genuine old-fashioned chicken! Or roast on high in the crockpot with no water for 8-12 hours for scrumptious roasted chicken! Happy Hill will have Abundant Harvest Bakery goods at their booth, including Granola Breakfast Cookies and several gluten-free offerings. Free-Range Eggs: Large. Ag and Health Alive of Marne Sadly, Paul’s wife Nancy Jones-Keiser passed away Monday, September 28th. We have posted more about her at our blog: http://sweetwaterlocalfoodsmarket.wordpress.com/. Please keep the family in your thoughts & prayers. If you want to send a card of condolence: Paul Keiser, 2757 Hayes Rd. Marne, MI 49435. At this time Paul is planning to be at the market. He will have a variety of winter squash. For any Fertrell fall garden supplies please call 616-677-6178 and Paul will bring it to market. Also: Chicken & Duck Eggs, Honey, maple syrup, garden books, bagged wool. Nantucket Bread Co. Freshly baked loaves of Whole Wheat Raisin Bread as well as regular Whole Wheat, baked with organic flour. HandCrafteds Products good for the body & soul! Brittanie’s Thyme of Cedar Springs With the start of the fall season, Brittanie’s Thyme will now be at the market every Saturday till the first of the year. Watch for specials in each news letter starting Oct 10th! As many of you know, Brittanie’s Thyme became USDA Certified this summer and with this many doors are opening in our favor. One is Whole Foods Markets in the Michigan region. This event has called me to travel for awhile to help set up 3 MI stores and possibly 8 other stores, so Julia Snyder has offered to work with me and be at Sweetwater offering Brittanie’s Thyme. She will have all the items you have seen in previous months as well her own. We are so happy to have her knowledge, understanding of our products and who we are. We want all our customer’s to know that we will always be reachable via email (www.info@brittaniesthyme.com) or by phone at 616-788-8224 if you have questions or concerns. Thank you so much Julia for helping us remain a steady part of Sweetwater! Bee and Botanicals of Spring Lake New from Lavender Hill Farm: Lavender Jelly, lavender fire starters, and their special laundry Bar. This is a special soap bar is to spot treat laundry stains. It’s a big chunky bar that will last many years and is environmentally safe, using no harsh chemicals or bleach. No more stain remover bottles to throw away. Full size and travel size available. Free Lavender sachet with purchase of a full size Laundry bar. Nice selection of floral, herb and spice sachets for drawers, closets, cupboards and knitting baskets (moth blend, lavendeer, citrus, Northern blend, Rose & Sandelwood). For a treat try our soothing sweet and salty bath mix, smells yummy! Nice selection of hand made cards, gift bags for fall. The Michigan organic farming community has suffered a huge loss with the passing of Nancy Jones-Keiser on Monday, September 28th 2009. Growing up on a farm in Bucks County, Pennsylvania, Nancy was involved in organic farming and gardening for over 30 years and taught classes on these topics for more than 25 years. When she and her husband Paul came to West Michigan in 1996 to begin a CSA farm & charter school Nancy served as the bio-ag teacher. Called the West Michigan Academy of Environmental Science it lasted two years during which time students were involved with not only learning to grow their own food but also the preparing, processing and storing of the nutrient-dense foods grown on the CSA farm. Nancy was also a certified English teacher & Reading Specialist, teaching classes at both Grand Rapids Community College and Baker College of Muskegon. Ever the educator, Nancy was hired as an organic certifier for Organic Growers of Michigan until that program ended in 2001 and was a invaluable long-time board member of MOFFA (Michigan Food & Farming Alliance). Nancy and Paul had a large collection of films concerning environmental awareness and they shared them with the public through two consecutive film festivals; one, a Winter Film Series & Farmers Market at the Wealthy Theater held two Wednesday evenings a month from October 2006 through June of 2007, and the second was begun in late 2008 and held weekly at San Chez Bistro right up until the time her health began to deteriorate. Nancy was a farmer as well as an educator; she and Paul built the Ag & Health Alive business together on their farm in Marne, MI, raising breeding flocks of sheep, ducks & chickens as well as a large production garden and farming a piece of land owned by friend Bob Johnson for many years. Nancy was very proud of her lovely home garden and brought her produce to the Fulton Street Farmers Market, where she was a vendor. Last winter she accompanied Paul occasionally during the winter months of the Sweetwater Market. We remember her great grilled cheese sandwiches & squash soups! That all of this work was accomplished by just one woman may seem impossible, unless you knew Nancy. She was a force of nature, a tireless worker and a tenacious activist on behalf of our planet. She was only 62 years old, and we will miss her greatly. Come taste the fruits of our labors this weekend! Certified Organic White Flesh Peaches! Excellent fresh eating or buy some to freeze for later. Also: large tomatoes for slicing or canning. BEEF SALE! BUY 2 ROASTS AND GET 10% OFF! Soup Bones $1 per lb. Buy 4 pkgs Ground Beef Patties $20. Other cuts available: Rib Eye Steak, New York Strip, oxtail, tenderloin, Rib Steaks, Sirloin steak, Chuck and Arm Roasts, Rolled Rump Roast, TBones, Porterhouse, liver, heart, stew meat, Swiss steak, Short Ribs, ground beef bulk and patties. This is a mix of all grass-fed beef and some beef with our usual few months of grain to tenderize the meat. Please send me your advance orders and I’ll be sure to save beef for you. VEGGIES THIS WEEK: Kandy Korn Sweet Corn! Leeks! Cucumbers in quantity with dill for canning! Also: Celery, eggplant, sweet peppers & fingerling potatoes, Kennebec Potatoes – the best for homemade french fries, Green Beans, Broccoli, Red Norland Potatoes, Lettuce Mix, Chard and Kale, summer squashes, and whatever else we find ready to pick on Friday! Fresh herbs: parsley, basil, oregano, rosemary, chives, dill. Sale! Organic Olive Oil! Bring in your quart jar and fill it with Catalan Spanish oil for $35. I will also have Moutere Grove from New Zealand ~ 250 ml $20; 500 ml $30 and bottled Catalan 250 ml $16; 500 ml $24, a new Greek oil and Mansur from Argentina. HIGHER GROUNDS COFFEE! I’ll be bringing a new assortment of 1# bags. Tomatoes, Ailsa Craig white & Copra red onions, red potatoes, green beans and this spring’s batch of Taste of Spring Maple Syrup. New! We proud to announce an addition to our cheese line-up. It’s called Polkton Corners, and is a delicious, unpressed Gouda. Also: Gouda, Leyden, Gouda Spice (garlic & onion), Edam, Lamont Cheddar. Lots of goodies at the market this weekend! We’re open at the shop from 9 a.m. to 2 p.m., too. If you would like to order ahead, please call the shop – 231.728.6383. Make sure you speak with a live person and NOT the voicemail system. Be sure to specify where you’d like to pick up your order (shop or market). Bread – Specials this week: Stuffing Bread (OK, so it’s not Thanksgiving. If you ask me, anytime is a good time for stuffing!) – onions, carrots, celery, mushrooms, garlic, and fresh herbs, all conveniently packaged in one loaf of bread; Cheddar & Chard Bread; Cheesy Shiitake Pockets. All the veggies are from either Earthscape/Full Circle Farm, Frasure Farms, or Funny Farm. We will also have our regular Saturday schedule of bread (visit www.earthlykneads.com for details) minus the beer and cheesy breads (had to make room for the specials!). Special Sweets – Coffee-Cakes made with the beautiful, organic white peaches from market! Muffins – Peach-filled Streusel Muffins; Blueberry. Both are made with organic, michigan fruit! Extras – Fresh Shiitake Mushrooms, Dried Shiitake Mushrooms, and Organically-Grown Heirloom Garlic (these bulbs are HUGE!) from Frasure Farms. We’ll also have an assortment of Food for Thought and Naturally Nutty with us. Back to School with Creswick Snack Sticks! Healthy Snacks for Kids Sale continues! Creswick Meat Snack Sticks. Buy 4 for $4.00 each, get 1 pack free! Pork Sausages: Red Hot Brats, Jalapeno Brats, Garlic Kielbasa, Breakfast Links & Bulk, Chorizo. Lamb Sausages: Moroccan Lamb link sausage! Country Style Ribs! Tender, very meaty. We did these in the crock pot for 4 hours then grilled with our secret sauce – yum! Also: Ham steaks. Pork Chops. Apple Smoked Nitrite-Free Bacon, Soup Seasoning Bacon Ends. Fire up the Grill – We’ve got STEAKS! Back this week: Flank Steak (think Fajitas & London Broils), T-Bones, Ribeye & Sirloin Steak. Filet Mignon. Also: Chuck Roast. Gourmet Burgers, grass-fed beef & hickory smoked bacon 3-1/3lb patties per pkg. Ground Beef in 1 lb pkg. Ground Beef Patties 3-1/3lb patties per pkg. New item! Smoked Chicken Halves! Also: Boneless/skinless chicken breast, chicken wings, leg quarters, whole chicken & ground chicken in 1# pkg. Also: At this point we are only taking pre-orders for eggs. See below. Pre-Orders: Email Chris Bedford at chrisbedford@charter.net by Monday before the market and he will have it ready for you to pick up on Saturday. For a complete list of products, please see the website: www.CreswickFarms.com . New! Fresh ducks and fresh turkey pieces. Sale! Our 2008 chicken turkey & duck is on sale now – 50% off while it lasts! Hoophouse & Veggie Garden! Leeks, Sweet corn, Cabbage, Multi-colored carrots. Cucumbers for pickling & slicing. Green, purple, & yellow, dragon & rattlesnake pole beans. Collards, kohlrabi, beets, green onions & big onions, mixed greens. Squash: green, yellow & 8 ball zuccini. Yellow scallop squash. Broccoli. Yukon Gold, Kennebec & Red Lasota potatoes. Herbs: Fresh & dried parsley, cilantro, basil, rosemary & sorrel. Turkey Sausage. Breakfast, Italian, Brat & Chorizo. Breakfast & Italian in links/andor bulk. Turkeys were fed certified organic feed. Stewing Hens. Hens retired from laying eggs make the best chicken soup in the world! Simmer these gals for several hours and you have genuine old-fashioned chicken! Or roast on high in the crockpot with no water for 8-12 hours for scrumptious roasted chicken! Rabbit. Whole, frozen. Raised by David Filbrun on the farm. Granola Breakfast Cookies and several gluten-free offerings. Free-Range Eggs: Large. Also, goose eggs. For any Fertrell fall garden supplies please call 616-677-6178 and Paul will bring it to market. Also: Chicken & Duck Eggs, Honey, maple syrup, garden books, bagged wool. Nancy returns this week with a special Sampler Pack to start the fall – 3 vials (1 each of Organic Facial Steam (a blend of peppermint, lavender and calendula), French Green Clay with White Tea facial mask and Organic Almond Oatmeal Facial Scrub for exfoliating. The trio is priced at $14/now on special for $10. The perfect opportunity to try our facial spa products for yourself or give as a gift. New item this week! We are bringing an assortment of natural and organic loose and bagged teas from Soul Infusions here in Cedar Springs. Many individual varieties to choose from as well as assessories. Perfect to warm up with or just relax by. Last but not least: Big Sweetwater Hugs & Thanks goes out to new members Jeff Plyler, Nancy McCumber & Wendy Swartz! If you would like to become a Friend of the Market for a suggested donation of $10.00, which entitles you to a free cup of coffee at every market you attend for a full year, please see me at the market this Saturday! We will also have Higher Grounds Coffee by the Cup for a suggested donation of $1.00. Please note: Higher Grounds Coffee 1# bags for sale at Earthscape booth. Thanks for all you do as a consumer and advocate of a healthy local food system! Tomatoes! Sweet Corn! Ooey Gooey St Louis Butter Cake! Sweetwater Back-to-School Healthy Snacks Saturday! Kids – sample healthy snacks with our vendors! Kids – stop by and try a healthy veggie snack! Grass-Fed beef for sale by the quarter – please call or email if you are interested, or talk to me at the Market. BEEF SALE! BUY 2 ROASTS AND GET 10% OFF! Soup Bones $1 per lb. Other cuts available: Rib Eye Steak, New York Strip, oxtail, tenderloin, Rib Steaks, Chuck and Arm Roasts, Rolled Rump Roast, TBones, Porterhouse, liver, heart, stew meat, Swiss steak, Short Ribs, ground beef bulk and patties. This is a mix of all grass-fed beef and some beef with our usual few months of grain to tenderize the meat. Please send me your advance orders and I’ll be sure to save beef for you. VEGGIES THIS WEEK: Fingerling Potatoes $3 per quart! Sweet Corn! Leeks! Cucumbers in quantity with dill for canning! Also: New lettuce mix, Celery, eggplant, sweet peppers, Green Beans, Broccoli, Red Norland Potatoes, Chard and Kale, summer squashes, and whatever else we find ready to pick on Friday! Fresh herbs: parsley, basil, oregano, rosemary, chives, dill. Sale! Organic Olive Oil! Bring in your quart jar and fill it with Catalan Spanish oil for $35, or buy a jar from us. I will also have Moutere Grove from New Zealand, Mansur from Argentina, and a new Greek oil, also bottled Catalan. HIGHER GROUNDS COFFEE! I’ll be bringing an assortment of 1# bags. More is on order, here’s hoping it arrives by Friday. Tomatoes! Not a huge amount yet so come early if you’re interested. Also: Ailsa Craig onions, red potatoes, green beans and this spring’s batch of Taste of Spring Maple Syrup. Kids- Sample some Naturally Nutty peanut butter this Saturday! Bread – Specials this week: Leek & Sage Spelt Bread; Roasted Veggie Corn Bread; English Muffin Bread. All the veggies are from either Earthscape/Full Circle Farm or Funny Farm. We will also have our regular Saturday schedule of bread (visit www.earthlykneads.com for details) minus the beer and cheesy breads (had to make room for the specials!). Back to School Healthy Snacks for Kids Special! On sale again this Saturday – Creswick Meat Snack Sticks. Buy 4 for $4.00 each, get 1 pack free! New! Nathan’s newest creation: Red Hot Brats! Per customer request he’s really kicked these sausages up a notch! Pork Sausages: Jalapeno Brats, Garlic Kielbasa, Breakfast Links & Bulk, Chorizo. Lamb Sausages: Back this week – Moroccan Lamb link sausage! Back this week! Country Style Ribs! Tender, meaty, excellent grilled. Also: Ham steaks. Pork Chops. Apple Smoked Nitrite-Free Bacon, Soup Seasoning Bacon Ends. Boneless/skinless chicken breast, chicken wings, leg quarters, whole chicken & ground chicken in 1# pkg. Certified organic blueberries! Brendan will be bringing Elliot blueberries this Saturday! Kids can try a sample of one of the superfoods of snacks! Hoophouse & Veggie Garden! Sweet corn! Cabbage, Multi-colored carrots. Cucumbers for pickling & slicing. Also canning quantities of beans! Green, purple, & yellow, dragon & rattlesnake pole beans. Collards, kohlrabi, beets, green onions & big onions, mixed greens. Squash: green, yellow & 8 ball zuccini. Yellow scallop squash. Broccoli. Yukon Gold, Kennebec & Red Lasota potatoes. Herbs: Fresh & dried parsley, cilantro, basil, rosemary & sorrel. Keep those pesky moths away from your closets and cupboards and knitting baskets. Try my own Moth Away blend and lavender sachets! New this week – Special Laundry Bar from Lavender Hill Farms! This is a special soap bar to spot treat stubborn stains, and remove dirt and grime from clothing and other house hold items. It’s a big chunky bar that will last many years and is environmentally safe, using no harsh chemicals or bleach. No more stain remover bottles to throw away! Also organic lavender dryer bags for a light lavender scent to use instead of dryer sheets. Nice selection of hand made cards, gift bags and tags too! Sorry, no cheese this week, next week we’ll have more! Last but not least: If you would like to become a Friend of the Market for a suggested donation of $10.00, which entitles you to a free cup of coffee at every market you attend for a full year, please see me at the market this Saturday! We will also have Higher Grounds Coffee by the Cup for a suggested donation of $1.00. Please note: Higher Grounds Coffee 1# bags for sale at Earthscape booth. Sweetwater Back to School Saturday! Win a Family Portrait for Canned Goods! Front Porch Pickers Return with a Back to School Special! The Pickers will be singing entertaining “back-to-school” music and leader Jo Ann Windberg will have some school supplies for kids! Kids– Sample some Naturally Nutty peanut butter this Saturday! Bread – Specials this week: Pumpernickel; Cheesy Hot Pepper (made with organic cheddar cheese); Roasted Veggie Corn Bread. All the veggies are from either Earthscape/Full Circle Farm or Funny Farm. We will also have our regular Saturday schedule of bread (visit www.earthlykneads.com for details) minus the beer breads (had to make room for the specials!). Extras – Fresh Shiitake Mushrooms, Dried Shiitake Mushrooms, and Organically-Grown Heirloom Garlic (these bulbs are HUGE!) from Frasure Farms. We’ll also have an assortment of Food for Thought Jams & Preserves and Naturally Nutty Nut Butters with us. Back to School Healthy Snacks for Kids Special! Grab a sample of Creswick Smoked Meat Snack Sticks! This Saturday only, buy 4 for $4.00 each, get 1 pack free! New! Healthy School Lunches start with Creswick’s Thin-sliced Ham Sandwich Meat! Sandwich sized slices of smoked ham from heritage pastured pork, nitrate free and packaged in easy to use zip-lock bags. Also: Nathan’s newest creation- Red Hot Brats! Per customer request he’s really kicked these sausages up a notch! Other Pork Sausages: Jalapeno Brats, Garlic Kielbasa, Breakfast Links & Bulk, Chorizo. BEEF SALE! BUY 10 PACKAGES OF OUR GROUND BEEF AND GET 10% OFF. BUY 2 ROASTS AND GET 10% OFF! Soup Bones $1 per lb. Other cuts available: Rib Eye Steak, New York Strip, oxtail, tenderloin, Rib Steaks, Chuck and Arm Roasts, Rolled Rump Roast, TBones, Porterhouse, liver, heart, stew meat, Swiss steak, Short Ribs, ground beef bulk and patties. This is a mix of all grass-fed beef and some beef with our usual few months of grain to tenderize the meat. Please send me your advance orders and I’ll be sure to save beef for you. VEGGIES THIS WEEK: Sweet Corn! Leeks! Cucumbers in quantity with dill for canning! Also: Celery, eggplant, sweet peppers & fingerling potatoes, Green Beans, Broccoli, Red Norland Potatoes, Lettuce Mix, Chard and Kale, summer squashes, and whatever else we find ready to pick on Friday! Fresh herbs: parsley, basil, oregano, rosemary, chives, dill. Sale! Organic Olive Oil! Bring in your quart jar and fill it with Catalan Spanish oil for $35, or buy a jar from us. In the famous Rioja wine producing region of Northern Spain, the three Catalan brothers and their proud families produce an exceptional olive oil from their small orchard of Arbequina olives. It is smooth-tasting with a great balance, very good fruit, and the aftertaste is a bit peppery. The unfiltered oil is Certified Organic by the Spanish Ministry of Agriculture. It is exceptional with lamb, beef, salad or spicy foods. I will also have Moutere Grove from New Zealand ~ 250 ml $20; 500 ml $30 and bottled Catalan 250 ml $16; 500 ml $24. Lois will bring wild-harvested blueberries from a field near her farm left alone for over twenty years. The bushes are nestled in among roses, honeysuckle & cherry trees. These were a market favorite last year. Also, she will have a nice variety of her home made castile soaps: Sensitve Skin with pure olive, coconut oil & goats milk, Scrubber Soap with horsetail & llang-llang; Peppermint Shower Soap with lavender, hops & jasmine. She will also have potted lemon balm & aloe vera for sale. Ailsa Craig onions are in! Jim claims they are hands down better than any Vidalia he’s ever tasted! Also: red potatoes, green beans and this spring’s batch of Taste of Spring Maple Syrup. We will return next week with a large selection of your favorite certified organic Dutch style raw milk cheeses! Sweetwater is now on Facebook! Hurry! Cast your vote in the Local Harvest “Great Farmer’s Markets” Contest ending September 17th! Strawberries & Garlic Scapes: Summer’s On! You might wonder what strawberries and garlic scapes have in common, but here in Michigan they are a sure sign that summer is definitely here! Another Great Farmer’s Market Contest! Sweetwater Market Going to ROTHBURY Festival Again July 2-5! Music at the Market! Returning to play more of that great Olde Tyme Music will be The Back Row Pickers & Friends, including Jo Ann, Chris & Ruth, two Bills, Donna & Jim! Sweetwater welcomes a new vendor! Fritz Korthase studied Horticulture at MSU and has always had a love of plants, and growing his own food using organic methods. Five years ago he started growing and learning about garlic, planting 5-10 lbs more each year. He and his wife Mary do extensive gardening and landscaping around their house, and in addition to the garlic and shallots are now selling the extra perennials they have propagated in their nursery. This week Fritz will bring loads of garlic scapes, rhubarb & raspberry plants and assorted perennial flowers like day lilies & iris. Week two! Lucious strawberries! Limited quanities, so come early! Hugh has been certified organic since 1997 and is a partner in the Northern Natural LLC – producers of the cherry juice concentrate sold at the market. Note: For the July 4th market we will be bringing advance orders only. Please email Chris Bedford your July 4th meat order no later than Wednesday, July 1st by noon. Thanks! This weeks SPECIAL! Round Roast & Chuck Roast $3.50/lb! Pork Sausages: Jalapeno Brats, Garlic Kielbasa, Breakfast Link, Chorizo and Jalapeno Cheddar Summer Sausage. Snack Sticks: Beef & pork ground, spiced & smoked to perfection. 5/pkg. Chicken Sausages: Apple Chicken & Chicken with Spinach & Feta Cheese. Lamb Sausages: Moroccan Lamb Sausage links. Hickory Smoked Nitrite-Free Bacon, Boneless Pork Chops, Soup Seasoning Bacon Ends. Filet Mignon. Sirloin Steak. Round Roast. Chuck Roast. Ground Beef in 1 lb pkg. New Product! Gourmet Burgers. A tasty combination of grass-fed beef and hickory smoked bacon, perfect for grilling! 3 per pkg. Whole chicken, chicken wings, leg qtrs, boneless chicken breast & ground chicken in 1# pkg. 4th of July Market: Advance orders would be appreciated. If you are interested in ordering something for next week, please email me at pbobier@voyager.net by no later than Wednesday, July 1st at noon. Thanks! BEEF! We have all our cuts: oxtail, tenderloin, steaks, roasts, short ribs, liver, heart, stew meat, ground beef. These were young Angus heifers, grass-fed their whole lives, and fed home-grown and ground grains for a couple of months before butchering. NEW VEGGIES THIS WEEK! Snow Peas! Carrots! Beets with lovely greens! Romaine Lettuce! Also: Lettuce Mix at Summer Season prices! Escarole. Head Lettuce. New tender Chard and Kale! Garlic Scapes. Fresh herbs: parsley, basil, oregano, rosemary, chives. I also still have some parsley plants – 2 for $1. Sale! Organic Olive Oil! Bring in your quart jar and fill it with Catalan Spanish oil for $35. In the famous Rioja wine producing region of Northern Spain, the three Catalan brothers and their proud families produce an exceptional olive oil from their small orchard of Arbequina olives. It is smooth-tasting with a great balance, very good fruit, and the aftertaste is a bit peppery. The unfiltered oil is Certified Organic by the Spanish Ministry of Agriculture. It is exceptional with lamb, beef, salad or spicy foods. I will also have Moutere Grove from New Zealand ~ 250 ml $20; 500 ml $30 and bottled Catalan 250 ml $16; 500 ml $24. HIGHER GROUNDS COFFEE! I’ll be bringing an assortment of 1# bags. Hoophouse greens at the market this week include: Rainbow mix carrots. Parsley. Fresh Dill – think dilled asparagus! Garlic Chives. Mint. Dahlias & Sunflowers. Fait Gras. Pronounced “fay gra”, our newest English style cheese has been selling out fast. It is made with a very high cream content, making it milder than our Lamont Cheddar; very smooth & creamy. We will also have Gouda, Gouda with Dill, Leyden (Gouda with Cumin), Gouda Spice (garlic & onion), Edam, and Lamont Cheddar. Temporarily sold out of the chili cheese. Lamb! This week at the market: We have individual cuts of lamb in chops, roasts, ground lamb, stew meat and shanks. Also, you can still order a half or whole lamb. We are an authorized Fertrell Dealer and have a huge list of available organic garden supplies. From Nantucket Bread Company of Grand Rapids: Chilled Whole Wheat Pizza Dough! Sold in single size bags, just roll out on a pizza tin, let rise a bit and then add your favorite toppings! Also: Whole Wheat Raisin Bread, Whole Wheat Bread, Seven-Grain Sourdough bread, Cranberry Walnut bread and Health Muffins. Pullet Eggs. These are the smaller, first batch of eggs from our newest layers. Hoophouse Greens! Mixed greens, arugula, beet greens, salad burnet, radish, spinach, parsley, rainbow chard. Rhubarb. From Rebecca’s Side of the House: Spinach & a Wild n’Tasty Salad Mix. Turkey Sausage and Ground Turkey . Breakfast, Italian, Brat & Chorizo. Breakfast & Italian in links/andor bulk. Turkeys were fed certified organic feed. Ducks! Young and tender. The drakes weigh about 6 lbs. ; the hens are just over 3 lbs. Locally made products good for the body and spirit! Lois returns this week with more of her new line of hand-made soaps and felted soap holders. All-Purpose soap: Hard & plain castile soap lightly scented with Lemongrass. Head to Toe: Peppermint, horsetail, and rosemary. Soothing Bath: Hops, lavender & jasmine. Scrubby. Tea leaves embedded to give a nice scrubby hand soap. Mildly scented with vetiver, geranium, and ylang- ylang. All soaps are simple castile type with some goats milk. Essential oils only. Add some sparkle to your summer wardrobe with a dagger drop ankle chain or a quick change bracelet. Also new summer jewelry sets. Stop by and find your favorite handcrafted soap. Many special blends to choose from! All of our soaps use essential oils (except Oats and Oils for those who prefer unscented soap) and have 10% shea butter. Also available; Tub Teas, English Mustard Foot Bath, Body butters, and a great assortment of our customers favorite lip balm (buy 4 lip balms and get one free)! We have hand made laundry washing soda too, with just the things you need for a nice clean wash without the harmful chemicals! Back for the start of summer, my own Moth Away blend sachets for cupboards, closets, clothes storage and knitting baskets. A nice blend of herbs and spices to keep those pesky moths at bay. Also organic lavender dryer bags for field fresh laundry. Sweet hand embroidered bags with lavender sachets for a unique present or treat for yourself. Theresa returns this week with new flowers, bags and produce. Last but not least: Sweetwater welcomes our newest Friend of the Market, Louis Ward – Thanks, Lou! If you would like to become a Friend of the Market for a suggested donation of $10.00, which entitles you to a free cup of coffee at every market you attend for a full year, please see me at the market this Saturday! We will also have Higher Grounds Coffee by the Cup for a suggested donation of $1.00. Please note: Higher Grounds Coffee 1# bags for sale at Earthscape booth. Please remember that we are now open every Saturday! Great Weather, Great Food, Great Music – Yippee! Doug the Singing Cowboy and the Sagebrush Band! Music this week by Doug the Singing Cowboy and the Sagebrush Band, with the Back Row Pickers including Jo Ann Windberg! BEEF! We have more beef this week – all our cuts: steaks, roasts, short ribs, liver, heart, stew meat, ground beef. Stock up now! These were young Angus heifers, grass-fed their whole lives, and fed home-grown and ground grains for a couple of months before butchering. PARSNIPS ~ freshly dug, sweetened over the winter. Only a few pounds left! ONIONS! The last from storage. Fresh Rosemary from the Greenhouse. Hoophouse greens this week include: Baby Lettuce Mix, Turnip greens, Parsley, Arugula, White, Russian & Dino Kale mix, Mustard Mix including Osaka Purple and Senposai. New this week: Ham Steaks. Also: Hickory Smoked Nitrite-Free Bacon, Boneless Pork Chops, Pork Breakfast sausage in links & bulk. Soup Seasoning Bacon Ends. Chicken Sausages include: Apple/Chicken Sausage Links and Chicken with Spinach & Feta Cheese. Lamb Sausages: Moroccan Lamb Sausage. No chicken available until middle of April. Beef Snack Sticks. We are out of Filet Mignon this week. New Product! Creswick Farms is now offering a ½# package of ground mixed beef, lamb, & chicken for $2.00! Meat is frozen, uncooked. Cooked or raw, add your own fresh greens and cooked rice and you have a great locally made food your pets will devour! New! Chili Cheese! A tasty aged gouda with dried red chili peppers. Fait Gras is back! Pronounced “fay gra”, our newest English style cheese has been selling out fast. It is made with a very high cream content, making it milder than our Lamont Cheddar; very smooth & creamy. We will also have Gouda, Gouda with Dill, Leyden (Gouda with Cumin), Gouda Spice (garlic & onion), Edam, and Lamont Cheddar. Cookies! Sweet salty cashew cookies, Old fashioned chocolate chip, & Thumbprint shortbread cookies with Food for Thought jam. Scones. Muffins. Biscotti! Apple Pie, Cranberry Orange Pecan & Double Chocolate Cherry. Five kinds of granola. Michigan Gorp. Breads! Gouda for What Ales You, Tuscan French, Wholegrain spelt. Seeded spelt. Save! Nice selection of discounted, frozen breads. As always, we will have Food for Thought Jams & Naturally Nutty Peanut Butters. Our bakery is also open Saturday, from 9am to 2pm. Last week for Jerusalem Artichokes. Last week for Goose eggs. Small number of duck eggs. From Nantucket Bread Company of Grand Rapids: Chilled Whole Wheat Pizza Dough! Sold in single size bags, just roll out on a pizza tin, let rise a bit and then add your favorite toppings! Also: Whole Wheat Raisin Bread, Whole Wheat Bread, Seven-Grain Sourdough bread, Cranberry Walnut bread and Health Muffins. Made of whole grain organic flours. Hoophouse Greens! Mixed greens, arugula, beet greens, turnips, salad burnet, radish, spinach, parsley, rainbow chard. Happy Hill will have Abundant Harvest Bakery goods at their booth, including Granola Breakfast Cookies. Mother’s Day Very Special Sale! Every couple of years we accumulate a group of odds and ends of our ceramic pieces. Now it’s time to clear them out and make room for new items. Beginning this week and May 9th we are offering 50 to 70% off all of the following 100% microwaveable, dishwasher, oven and food safe items: Decorative Tiles, Wine goblets, Urns, Bowls, Dinnerware, Assorted vases, Mugs, Teapots, Fish plates, Cutting boards, and more! Winners of Kids Day Drawing! Boys Beach Necklace – Wesley Sweet. If these items are not picked up this weekend they will be at the market managers table. Theresa returns this week with a selection of new spring bags, handsewn from her own favorite patterns & fabrics, and possibly tulips! Brighten up your table inside and out with colorful cloth napkins . There are 2 sizes– large adult size of many different patterns and smaller size for children with fun boy and girl patterns! Also come and feel the cuddly , soft , tied baby quilts that would be just right for a new baby or toddler . They are all handmade of pre-washed cotton and will stand up to many washings! There are also some special hand pieced and hand quilted baby quilts for that wonderful addition to your family or circle of friends. Patchouli and Sweet Orange, and Oats and Oils (no essentials added to this one for those who prefer unscented). All of our soaps have 10% shea butter added to help fight that post winter “dry” skin. Our Bath Teas are a special treat as well as our body butters (excellent for moisturizing feet, knees, elbows, cuticles and hands). A great assortment of our customers favorite lip balm too in several yummy flavors (buy 4 lip balms and get one free)! Back in stock, our hand made laundry washing soda with just the things in it you need for a nice clean wash without the harmful chemicals! Organic lavender dryer bags for field fresh laundry, nice to use with Under the Pines Lavender Washing Soda! and Mother’s Day. Floral and woodsy sachets to tuck in drawers, cars, luggage, gym bags and closets. We create one of a kind cement leaf sculptures using leaves from our gardens as the mold. The sculptures are stained or painted and then sealed so they can be used in the home or the garden. We use a variety of leaves from small morning glory to huge elephant ears to create candle holders, birdbaths and more. Linda LaMaire will be bringing the glasswork of her son Jonathan LaMaire. He has been a glassblower for 10 years, now working out of his studio in Grand Haven. She will bring: handblown glass pendants, bracelets, perfume bottles, marbles, oil lamps and diffuser bottles (including diffuser reeds and essential oils) Jonathan’s glass art is sold in several different galleries and museums throughout the country. Linda will also bring her own decorative felted balls and bowls – Great mother’s day gifts! Kathy has been knitting, quilting, and crafting out of her home for many years. Today she will be bringing photo gift cards (all her own photos), lavender sachets, and felted wool coasters. These items will be good Mother’s Day gifts. Last but not least: Big Sweetwater Hug & Thanks to Marianne Nelson & Jackie Nelson for renewing their Friend of the Market membership! If you would like to become a Friend of the Market for a suggested donation of $10.00, which entitles you to a free cup of coffee at every market you attend for a full year, please see me at the market this Saturday! We will also have Higher Grounds Coffee by the Cup for a suggested donation of $1.00. Please note: Higher Grounds Coffee 1# bags for sale at Earthscape booth. Please remember that we are closed next Saturday, May 2nd. We will be open again on Saturday, May 9th.